I didn’t crash an experimental aircraft. I didn’t have my right arm, both legs, and left eye replaced with bionic implants that gave me the power and strength of a bulldozer, the speed of a mid-sized sedan, and the vision the most sophisticated drones available on the civilian market. I also don’t work as a secret agent, though I would certainly entertain the idea! No, I was made stronger, faster, and braver 10 years ago today for far less — only $300,000. On April 9th, 2004, during a firefight on Bridge 3 in AL Kut, Iraq, I received trauma to the chest from enemy fire. I recovered from the hit and kept fighting. The next morning I had a fairly large bruise on my chest but did not think much of it. I was just happy to be alive. After I returned home from that deployment, I was getting checked out for problems I was having during physical fitness activities. I just wasn’t the same as I had been. I was getting incredibly tired out by things that used to be easy. I knew something was wrong. The doctor confirmed it. He asked me if I had sustained any trauma to the chest during my deployment. I told him what had happened, and he told me that the mitral valve in my heart had been torn from the impact of the projectile I got hit with. During the subsequent surgery, my damaged-beyond-repair valve was replaced with a carbon fiber valve that I was told would last 400 years. Three hundred thousand dollars later, I woke up in a different world than when I went under. I was now the $300,000 Man. 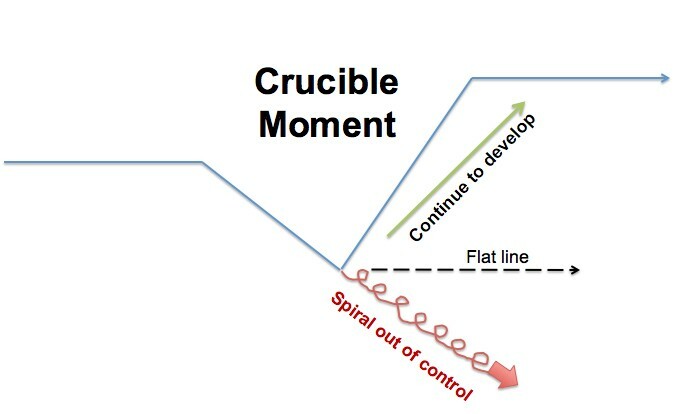 1) They could spin out of control — what I call the “Death Spiral.” Something bad or challenging happens, and the person in the crucible struggles, crashes, and burns. 2) They can learn to operate at a new, lower level of performance. There is no death spiral; however, there is also no recovery. When someone chooses this path, they don’t get back to where they were, and they avoid any risks that could result in them getting hurt even worse. 3) Lastly, they can accept what has happened and leverage the experience for the learning, growth, and developmental opportunity it is. Those who choose this path don’t just recover — they thrive and reach new heights. They come out performing and operating better than they were before the experience. I was also facing the possibility that I would have to be medically retired from the military. The doctors told me I would receive a nice disability payment for being wounded in combat, but I wanted none of that. Instead, I wanted to continue to serve and was not ready to leave the military, much less be considered “disabled”. As steadfast as I was at times, I was having a hard time coming to terms with my “new normal”. I felt like I was not good enough anymore. I was ashamed, and I was too scared to let anyone into what I was dealing with — I was decorated for valor and was being told by medical professionals that I would not be able to stay in the Army. I was a warrior. What do warriors do when they get disabled? When they’re vulnerable? In the words of Brené Brown, I found the “courage to be imperfect.” I slowly began to accept my new identity as a wounded warrior, and my attitude started to improve. I realized that the only one who expected me to be my old self was me. No one else did. 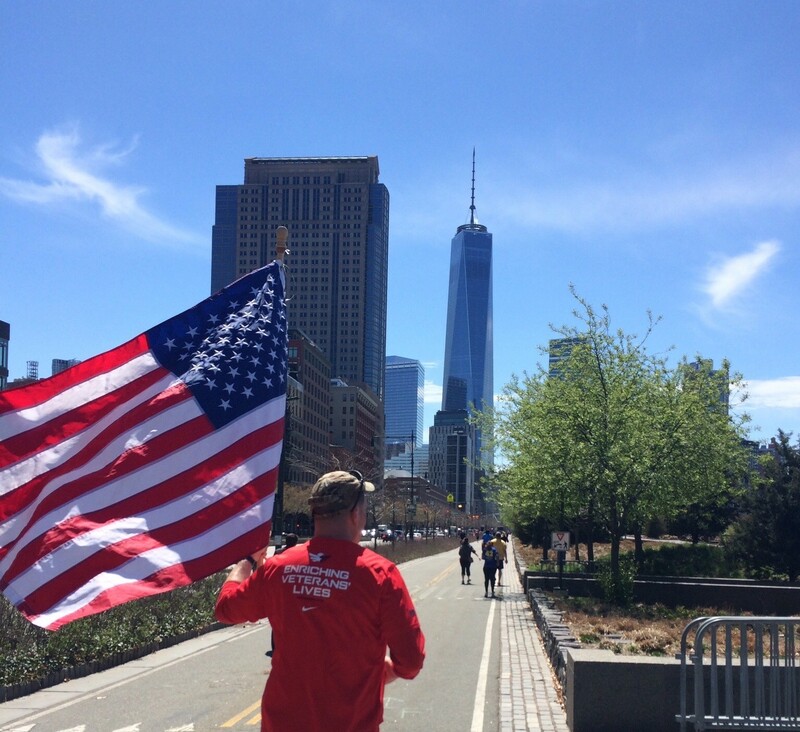 Having the courage to be imperfect enabled me to resume being an endurance athlete and a soldier. I was able to reframe my injury and the “new normal” as an opportunity to grow and develop. I could have chosen to leave the military with a medical discharge and lived off the disability payments, but instead I chose to overcome adversity and continue to serve. I was now following option #3 and realized my full recovery started with me. Having been commissioned as an Army officer in 2003, I have spent the majority of my time as an officer as a wounded warrior. In 2007, I took command of a tank company in Korea. During my second company command, I deployed in 2010 with my soldiers to Afghanistan, where we served as advisors to the Afghan National Police. Deploying back to a combat zone confirmed in my mind that I was back and better than ever. As crazy as it sounds, deploying back into a combat zone helped me feel “whole” again and helped with my mental recovery and fully accepting the “new normal” I still had not fully accepted at that point. Once I returned, I continued competing in endurance sports. Before I left, I completed the New Orleans Half-Ironman, as well as several other shorter-distance races, and after I returned, I got into obstacle course racing, completing several Spartan races. 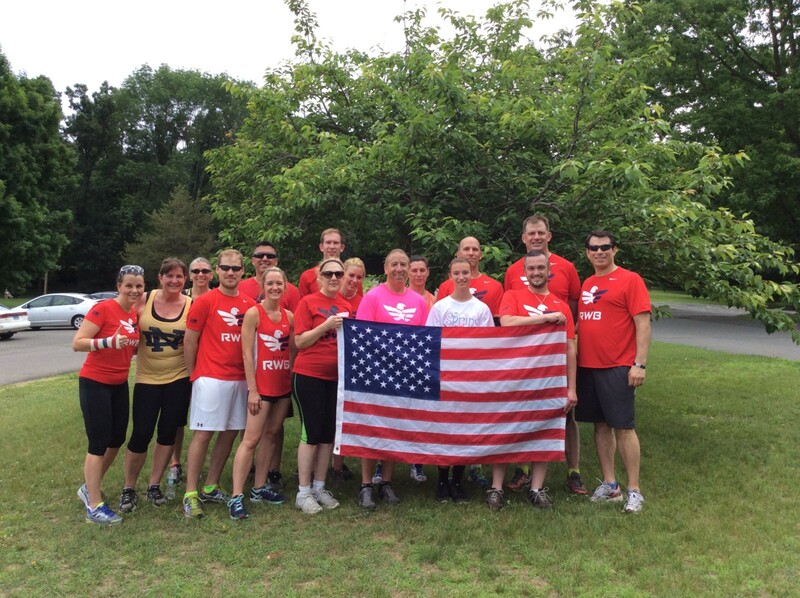 I also got involved with a great organization — Team, Red, White, and Blue (RWB) — and through my involvement with them was able to help others reintegrate and recover from their own injuries and challenges. Last year I got the opportunity to participate in one of the most rewarding events I have been involved with the organization to date. 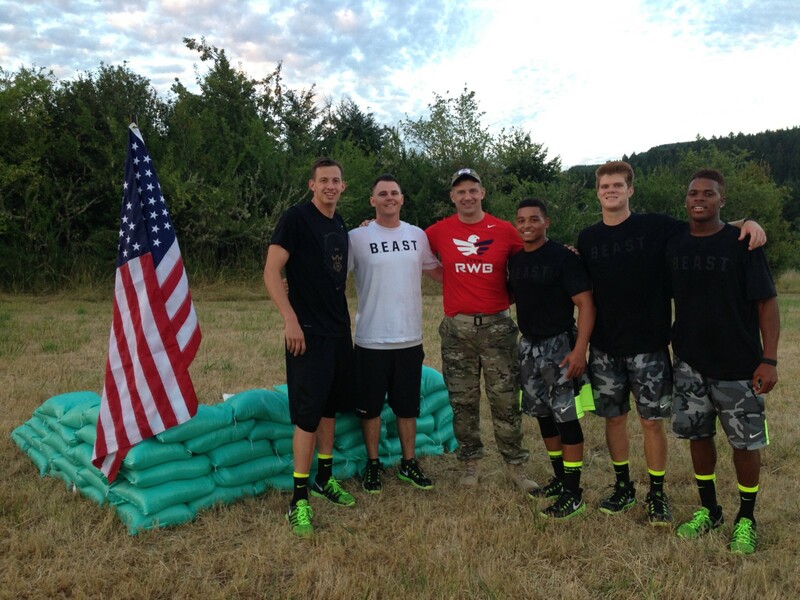 Several Team RWB leaders and teammates were selected to take part in a leader development experience for the top 18 high school quarterbacks in the nation as part of the Nike Elite 11 program at Nike World Headquarters in Beaverton, Oregon. The experience was designed to take the quarterbacks to the “edge of uncomfortable” so they could grow and develop as a result. The quarterbacks were going to be put through a series of military style missions that would last approximately 7 hours. It was during that time that we were given a chance to share our leadership experiences with them and give them a better understanding of what it meant to be a leader and the responsibility that came with it. I am looking forward to returning to the Elite 11 Camp this summer. A true test of our character is how we overcome adversity. As I reflect back on the last 10 years, the takeaway I want to share with readers is simple: Anyone can overcome adversity. Life will throw multiple challenges at you. If it hasn’t already, rest assured that it will. It was Ernest Hemingway who wrote that the world breaks everyone. The bright side, though, is that most of us will be stronger at the broken places. Overcoming the adversity in your life and taking the third path when you’re in the crucible will make you stronger, I promise. With the help of family, friends, and community we can learn from and find meaning in adverse circumstances, but no one else can conquer your adversity but you. Here is to another 390 years. IT Starts with ME! Jonathan is the Founder and President of Bridge 3, which focuses on leadership and organizational devleopment for small to mid-sized orgaizations. He is an experienced leader, design thinker, and executive coach with a proven record of leading and developing others to perform at higher levels and improve their overall effectiveness. He is a decorated veteran and a recipient of the General Douglas MacArthur Leadership Award. Jonathan served as a faculty member at the United States Military Academy at West Point, NY before transitioning from the Army in 2015. Experienced Organizational Leader, Positve Organizational Scholar and Doctoral Student at Pepperdine, Leadership Coach, Iraq & Afghan Vet, LEADERSHIP COUNTS!